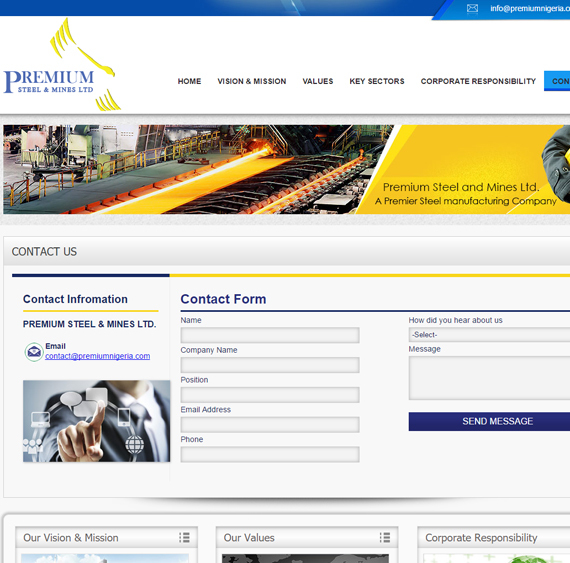 Premium Steel and Mines Ltd is an Integrated Steel Manufacturing company, with stated objectives of becoming a market leader in the sub Saharan African steel industry. Deploying the most recent technologies and production equipment, Premium Steel and Mines emphasizes on production of steel of international standards, whilst focusing on local human development and gainful employment. 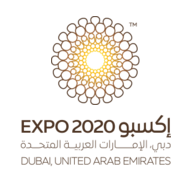 The company operates on the basis of continuous innovation, high productivity, social responsibility, highest safety standards and participative growth. Premium Steel & Mines Ltd aims to be a leader in fully integrated steel manufacturing, from iron ore to ready to market products, servicing highly demanding sectors including automotive, construction, industrial, engineering and other key sectors. Four Lines Industries L.L.C. is a leading manufacturer of Storage Systems, all type of Trailers, Truck bodies and Steel Structures in Middle East. We are the first company in UAE for manufacturing all kind of trailers from 1Ton payload to 100Ton payload. We are the first company in U.A.E. to achieve UL certification for above ground tanks for flammable and combustible liquid and secondary containment above ground tanks for flammable and combustible liquids (UL 142). The company was established in the year of 2006 and we are serving very successfully to Oil & Gas Industry, Military Projects, Petro-Chemical Industry, Construction Industry, Truck Dealers, Transportation/Shipping/Logistics, Cement Industry, Dairy Industry and Food Industry, etc. amongst the locations in Middle East, Africa and Asia. 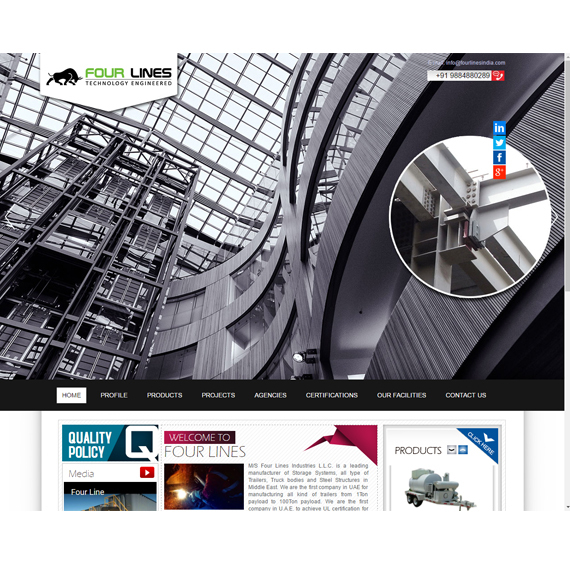 Four Lines Industries L.L.C. is authorized by the American Society of Mechanical Engineers (ASME) for the scope of activity shown below in accordance with the applicable rules of the ASME Boiler and Pressure Vessel Code. The use of the certification mark and the authority granted by this Certificate of Authorization are subject to the provisions of the agreement set forth in the application. Any construction stamped with this certification mark shall have been built strictly in accordance with the provisions of the ASME Boiler and Pressure Vessel Code. 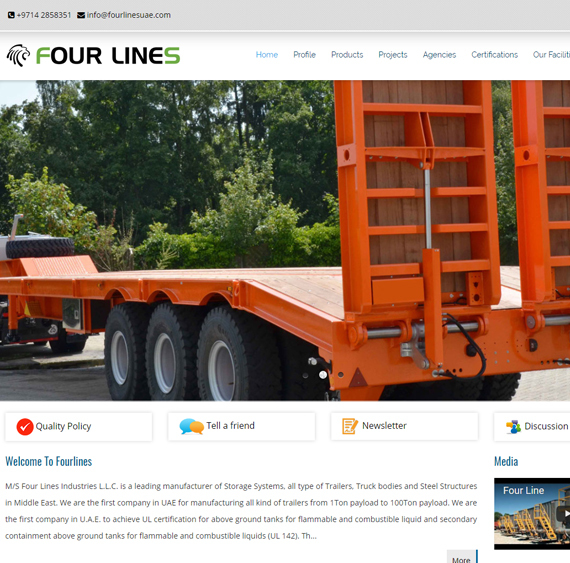 Four Lines Industries And Technical Services is a concern Company of Four Lines Industries L.L.C, which operates independently and provides services to Oil & Gas Industry, Military Projects, Petro-Chemical Industry, Construction Industry, Truck Dealers, Transportation/Shipping/Logistics, Cement Industry, Dairy Industry and Food Industry, etc. in India. I Chandran V. V proprieter and inventer have been in this field for more than 15 Years and marketing various automatic machines. All these products are well circulating in the market. The rat trap “ BLACK CAT” and “ FRESH AND COOL” are well known and famous. Various other projects are still their way waiting for the marketing . My achievements are widely approved nationally. Received many certificates and approved from different organizations. The “BLACK CAT” is approved by Agricultural & Horticultural ministers of different states of India and widely approved and appreciated in various exhibitions held state and national level. are dedicated to produce many more automatic machines to make our future better. 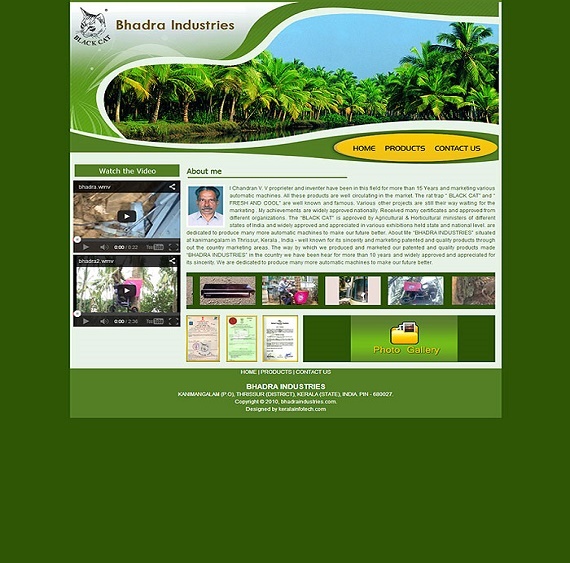 About Me “BHADRA INDUSTRIES” situated at kanimangalam in Thrissur, Kerala , India - well known for its sincerity and marketing patented and quality products through out the country marketing areas. The way by which we produced and marketed our patented and quality products made “BHADRA INDUSTRIES” in the country we have been hear for more than 10 years and widely approved and appreciated for its sincerity. We are dedicated to produce many more automatic machines to make our future better. 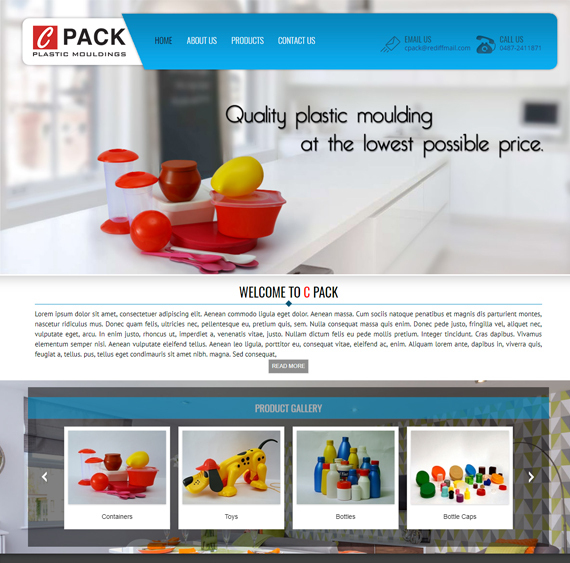 We are offering our best services to our customers on this field, by supplying whole types of their needs on above specialized items as well as highly competitive prices and best quality. We are sure and can prove our services will be very fast and prompt attention. We request and invite very cordial relations with your esteemed organization. Therefore, if you have any inquires please forward us, we will take prompt attention on it. We are confident of receiving your patronage soon. METIND” is known for Quality, Durability and Reliability of its products and is still remains on the zenith. A special type of alloy steel used as raw material for manufacturing, which undergoes a series of scientific forging and treatment processes to refine the grain structure and thus makes our implements resistance to wear, tear and corrosion. This unique feature of the products has sky rocketed the fame of our company in capturing the local market within the country and now capable to tap the global market in agriculture implements sector. "METIND" cannot keep aloof from the drastic changes taking place around the world. 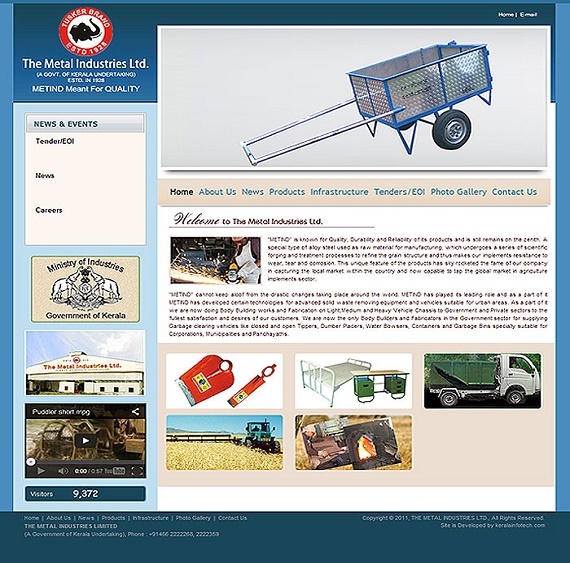 METIND has played its leading role and as a part of it METIND has developed certain technologies for advanced solid waste removing equipment and vehicles suitable for urban areas. As a part of it we are now doing Body Building works and Fabrication on Light,Medium and Heavy Vehicle Chassis to Government and Private sectors to the fullest satisfaction and desires of our customers. We are now the only Body Builders and Fabricators in the Government sector for supplying Garbage clearing vehicles like closed and open Tippers, Dumber Placers, Water Bowsers, Containers and Garbage Bins specially suitable for Corporations, Municipalities and Panchayaths. Industrial Specialty chemicals began its operation in the year of 1983 at Ollur Industrial Estate, Thrissur district of Kerala (South India)and in 1999 started Deepak Industries at Kanjikode Industrial Estate, Palakkad . The company was founded by Mr. P. Gopalakrishnan Menon, who has experience of over 35 years in the field of chemical Industries. 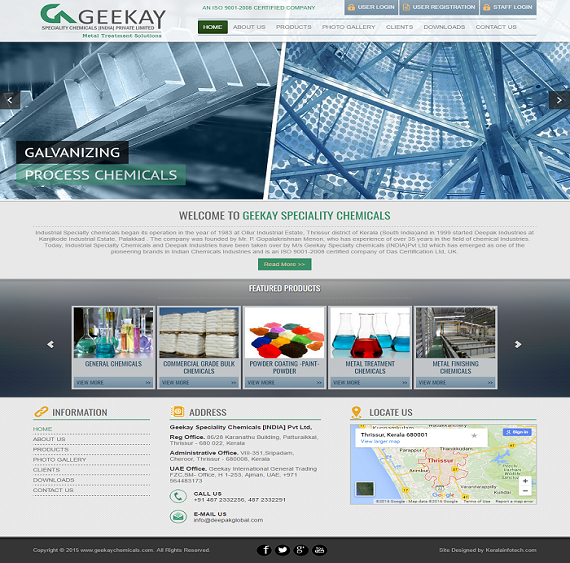 Today, Industrial Specialty Chemicals and Deepak Industries have been taken over by M/s Geekay Specialty chemicals (INDIA)Pvt Ltd which has emerged as one of the pioneering brands in Indian Chemicals Industries and is an ISO 9001-2008 certified company of Das Certification Ltd, UK. 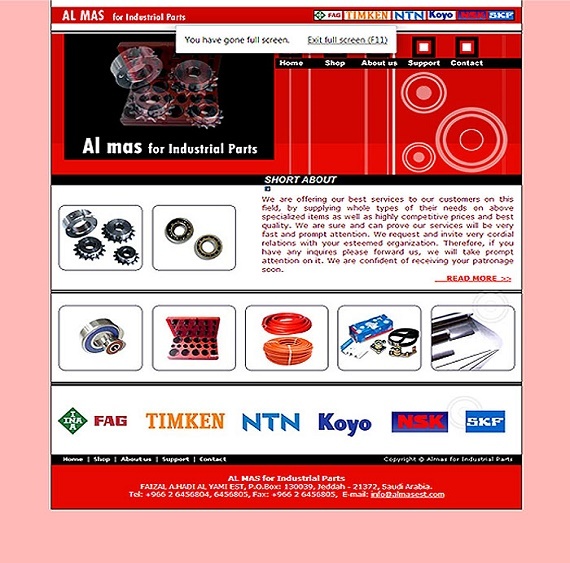 Our mission is to satisfy requirement of the customer by providing international qualified products with excellent safety and design standards on time anywhere around the world. 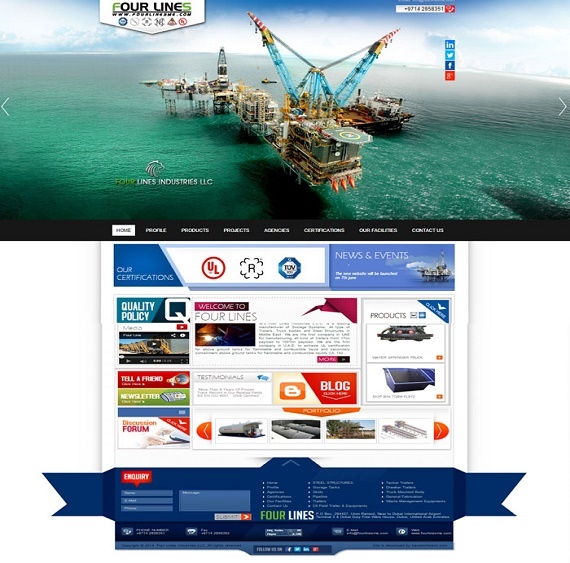 The company was established in the year of 2006 and we are serving to Oil & Gas Industry, Petro-Chemical Industry, Construction Industry, Truck Dealers, Transportation/Shipping/Logistics, Cement Industry, Dairy Industry and Food Industry, etc. amongst the locations in Middle East, Africa and Asia. We manufacture storage systems for fuel, water, acid, chemicals with various capacities. Our specialized storage system covers all type of special needs amongst clients from U.S Military and many of U.N/NATO projects. We do supply different type of skid equipments such as pump skids, filtration skids, etc. and fabricated accessories and parts required for various types of plants including sewage water treatment plants, thermal plants, power plants, desalination plants, reverse osmosis plants, etc. and refineries.